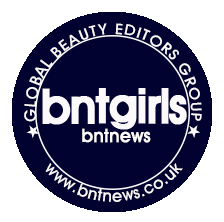 Looking for a new lightweight foundation? Well, the new Tarte Rainforest of the Sea Water Foundation Broad Spectrum SPF 15 is something you have to try! I've been wanting to review this foundation for awhile, actually since I've gotten my hands on it when it was first released a couple of months ago, but my lazy bum just keeps on putting it behind. Finally decided it is high time to properly give my thoughts on this foundation since I think it is perfect for the spring and summer season. 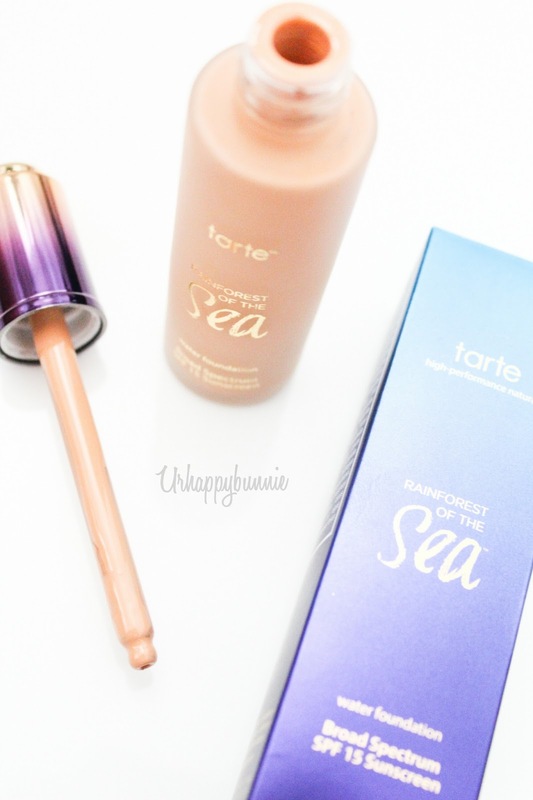 According to its actual product description, the Rainforest of the Sea Water Foundation has 20 percent water that hydrates the skin while it does its job covering and masking redness, dark spots, and uneven skin ton while softening the look of pores and fine lines. 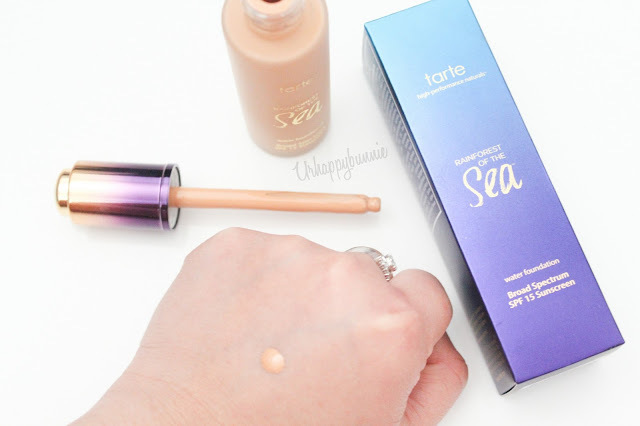 The foundation is packed with antioxidant Rainforest of the Sea complex and non-chemical SPF 15 the helps restore brighten and defend skin from free radicals and early signs of aging. It is also free of parabens and phthalate, hypoallergenic and dermatologist tested. The packaging is pretty and product is dispensed through a dropper. Although the dropper is a hygienic idea, I actually find it a bit cumbersome since the amount that the dropper releases isn't enough for my face and I need to put back the dropper and take more product from the bottle. I would have preferred to have a pump with this but that is just my personal preference and it doesn't hinder the performance of this amazing foundation. It claims to be a full coverage foundation but this is only true if you have fairly good skin, which means your problems are dullness, uneven skin tone, redness and dark spots. If you have severe acne scarring and blemishes this would give you a light to medium coverage. This product is buildable so you can absolutely go over your problem areas with another layer to achieve full coverage. Since I have fairly good skin, with occasional zits at the time of the month, I really like how I can achieve a nice even base for the rest of my makeup. I like applying this with a damp makeup sponge, slightly sheering out the foundation. Quick tip, applying with a makeup brush gives more coverage than a damp makeup sponge. The formula is definitely more runny than most liquid foundations I've tried before. The staying power for this foundation is really great, stays true to its claims of 12 hour wear. Although it stays put throughout the day, it doesn't feel dry and heavy on the skin. It feels very natural and you could almost forget you have foundation on. 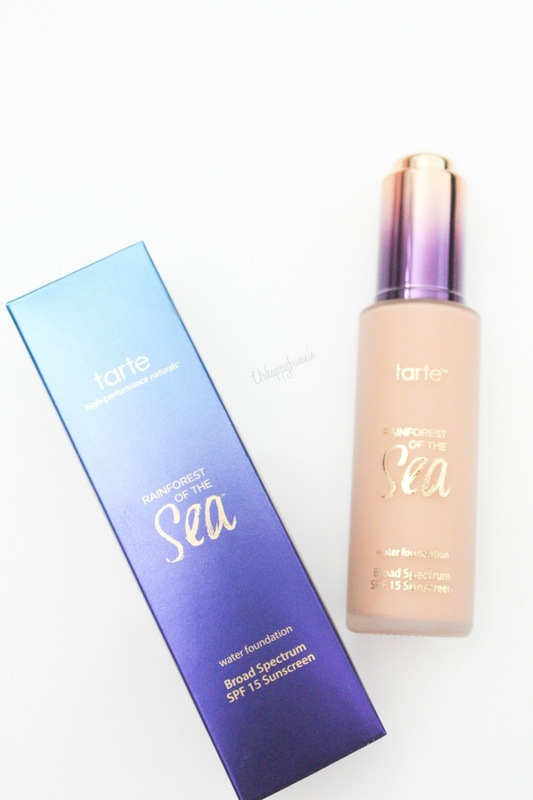 Now that it is spring season and summer is definitely just around the corner, this is a great foundation to try out. I don't know about you girls but I like the more lightweight and long wearing foundations during this time of the year because I'm always sweaty and makeup always rubs off in a few hours with the humidity. And this has SPF 15 to protect the skin from the harmful UV rays. This foundation retails for $39 at Sephora and Tarte. There's 12 shades to choose from so there definitely is something for everyone. My shade is Medium Honey for reference. 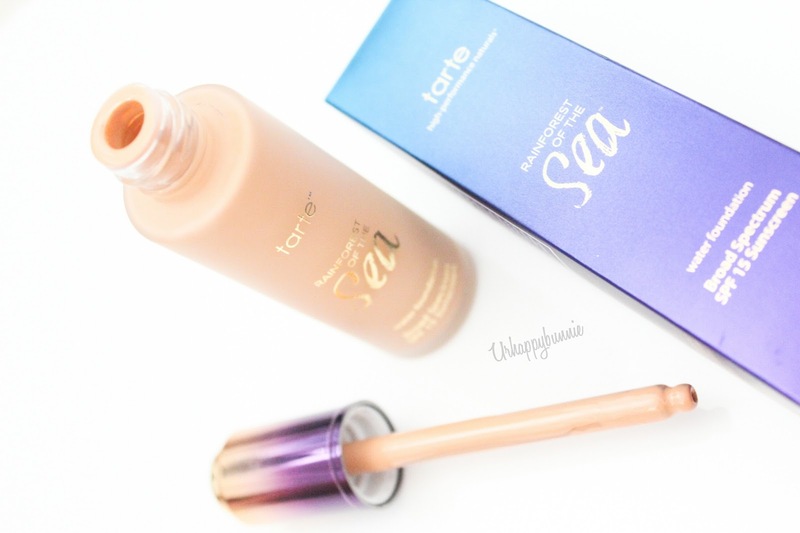 What is your favorite foundation for the spring and summer season? Let me know down below!